I unfortunately haven't been unable to spend Thanksgiving with my family for the past five years or so. North Carolina to northern Indiana is a long trek, and Vermont to Indiana even farther, especially with the Christmas trip home just a few weeks away. But my mom sent me some photos of our family's Thanksgiving pies, enjoyed at my aunt and uncle's house in South Bend, IN. Here is my mom's pumpkin pie, with turkeys trotting around the perimeter. You can surely see where I got my love of pies, and my penchant for crust design. 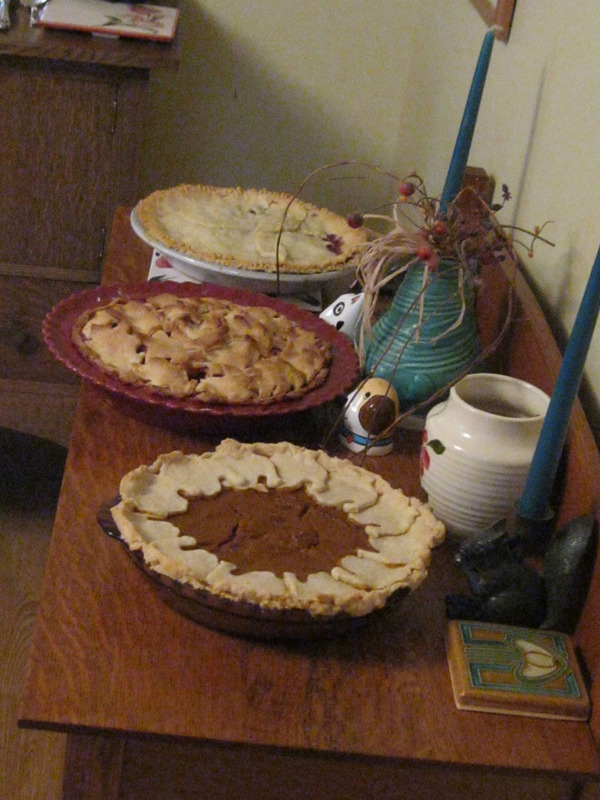 Here is the pie board at their dinner, with the above pumpkin pie made by my mom, an apple cranberry with an oak leaf crust design made by my aunt Chantelle, and a blueberry pie made by another dinner guest. 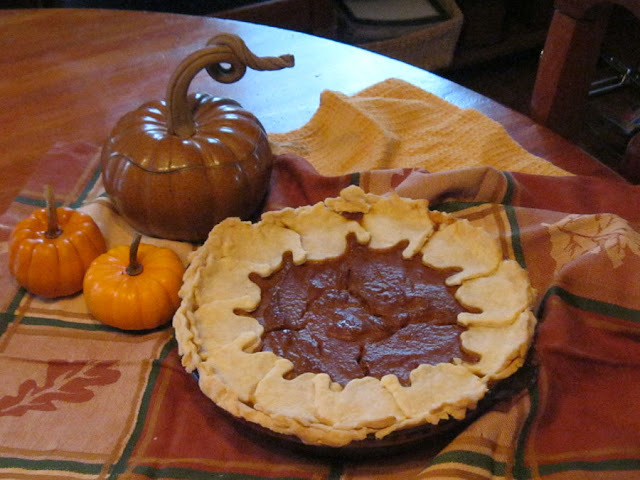 Check back here soon for more Thanksgiving pie re-caps. What pies did you enjoy this holiday?